Saying ‘The Golf is all the car you will ever need’ may be an old cliché, but it’s a cliché for good reason - and all the more true after these updates. 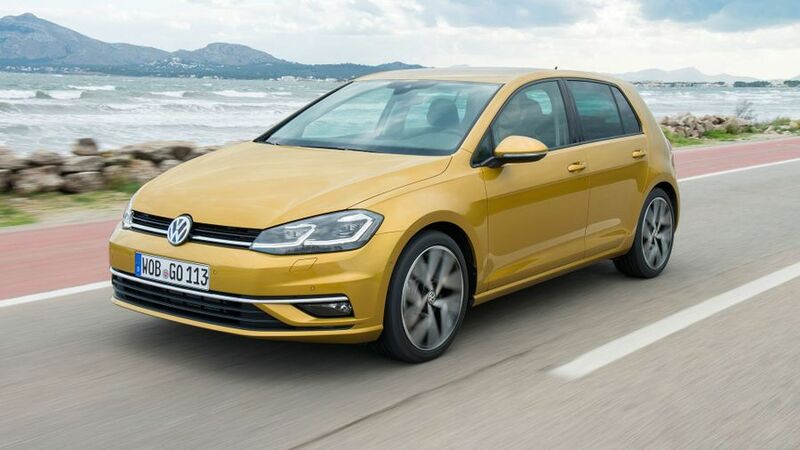 The Golf still delivers the drive, the space, the performance and the efficiency that the legend dictates, and this latest upgrade ramps home the quality message and improves the Golf’s performance and safety credentials. Combined with a silky 1.5-litre turbocharged petrol engine, the latest Golf delivers the feel and ambience of a car from several classes above. Together, these attributes will ensure huge desirability, strong sales and stellar residual values, and we can only guess what rival manufacturers offering similar products will make of it all. We wouldn’t mind betting it will be something along the lines of excruciating frustration, as once again, Volkswagen has upped the ante in the family hatchback class. 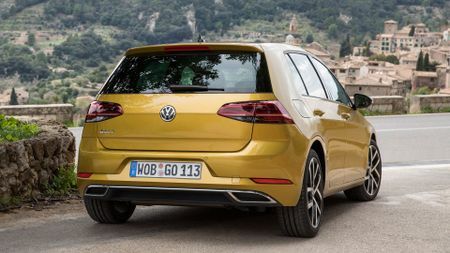 The launch of any new Golf is always a significant event, even if this latest version of Volkswagen’s benchmark-setter is more an evolution of the current car than a full blown transformation. Not surprisingly, the changes take in some cosmetic tweaks, including reprofiled front wings and front and rear bumpers, punctuated by LED headlights and daytime running lights, but the list of changes to the latest models runs much deeper than those that initially meet the eye. For starters, there are lots of revisions to be found inside, with updated infotainment systems that have larger, interactive touchscreens, while top-of-the-range cars come with gesture control, which Volkswagen claims is a first for this class of car. What that means is that those up front are now encouraged to merely wave a hand in the direction of the infotainment screen to scroll through menus, change radio stations, flip through playlists or browse through countless selfie albums. Obviously, the latter is not something to be encouraged while driving. At the same time, various safety systems also been upgraded, with a generous nod towards autonomous driving in the future. So, that includes pedestrian monitoring, compete with low-speed autonomous emergency braking. There’s also traffic jam assist; and, although the driver still has to a keep their hands on the steering wheel at all times, the system enables the car to steer around obstacles, accelerate and brake automatically. Those with a penchant for towing will also be pleased to hear that the Golf is now available with Trailer Assist, another claimed first for the class. To cap it all, there’s a range of new and revised engines. Petrol power starts with a humble, fuel-efficient 1.0-litre three-cylinder unit; and, for those unfazed by the hullabaloo surrounding 'Dieselgate', there are also revised 1.6- and 2.0-litre turbodiesels. Top billing for now, as there’s a slight delay before the revised R pops up, goes to the legendary GTI, which gains a 10bhp boost, ramping up power to a wholesome 227bhp. No doubt, the GTi will retain its loyal band of eager buyers, but for many, the newly introduced 1.5-litre, four-cylinder turbocharged petrol engine, which develops 148bhp and emits a claimed 110g/km of CO2, could well be the engine of choice. For that reason, that’s the kiddy we’re concentrating on here. When a car is as exceptional as the Golf, the most difficult task is resisting plunging into a frenzy of positive hyperbole; and, searching for negatives to offset the Golf’s myriad positives is certainly a toughie. Some may point to the rather unadventurous styling that has remained much the same for decades. Some may even take a perverse pleasure in Volkswagen’s woes, as the company struggles to come to terms with the financial ramifications of the diesel emissions scandal, but even this fall from grace appears to have had zero impact on the exceptional build quality of the latest Golf. Let’s park the diatribe of gushing praise to one side for a moment, though, because – Shock horror! – Volkswagen may well have scored a significant own goal with the introduction of its optional gesture control. This is the system that supposedly allows occupants to scroll through a host of infotainment menus with little more than a regal wave in the general direction of the cinema-sized dash-mounted central screen. In reality, it is incredibly hit-and-miss in its execution and extremely distracting when you check to see if it has actually performed the task you asked of it. All of which means the only gesture you feel like giving it is of the two-fingered variety. Thankfully, the default backups – which allow you to operate the array of features either via voice control or by prodding the big touch-screen menus – are significantly more reliable. Mind you, as with any touch-screen, there are frustrations, such as the multitude of greasy finger marks that build up and gradually undermine the screen’s high-definition quality. Also, unless you're ambidextrous or blessed with southpaw qualities, the likelihood is that you’ll be attempting to poke the relevant section of screen with your less dexterous hand. BMW iDrive, anyone? That said, the positive pulse feedback and the pinch and scroll features will be instantly familiar to any smartphone user. Right then, rant aside, on with the love-in. Undoubtedly, the Golf is one of the finest driving cars in its class. While the steering is beautifully judged in terms of weighting and reaction, the ride provides a wonderful blend of comfort and control. What’s more, there’s loads of grip, so if you’re in the mood for a spot of enthusiastic B-road thrills, it’s more than capable. The new 1.5-litre petrol engine is an absolute pearler, too. Yes, it exhibits a slight stumble as you come on and off the throttle at low revs – no doubt a by-product of limiting emissions – but in truth, only a hopeless pedant will take issue with this. The rest of the time, the engine is creamy smooth, with a strong lust for revs and an impressively linear power delivery right up to the red line. It’s also quite difficult to believe that this is a 'cylinder-on-demand' engine, because the switch from running on four cylinders to cruising on just two cylinders, when power demand is low, is so seamless, it’s near imperceptible. While the clutch and brakes feel reassuringly precise, those who demand rabid, high-rev rifle-bolt shifts may be a little disappointed with the slightly languid throw of the otherwise ultra-slick manual gearbox; but, even those obsessives can have their desires met by the optional rapid-fire seven-speed twin-clutch auto. With just the occasional bump, it’s otherwise unobtrusive as its goes about its work. A softly graduated throttle uptake at low speeds dials out any undesirable jerky surges and helps alleviate anxieties when attempting to park in tight spaces. If the drive is superb, then the Golf’s interior fixtures and fittings are simply sensational. Everything you come into contact with, from the steering wheel’s classy design and finish, to the gearshifter’s tactility and the precision of the switchgear, is almost impossible to fault. Equally, while the driving position is spot-on, with loads of steering wheel and seat adjustment, the seats themselves are supportive, comfortable and trimmed in robust, high-grade materials. Together with loads of other thoughtful touches – like the large, flex-free door pockets that are rolled over at their top edges to avoid scruffy manufacturing seams, the substantial door handles, and the acoustic tuning of the door latches to ensure a solid reassuring thud – all this ensures the Golf smacks of quality and scrupulous attention to detail. Interior space is pretty decent, too, with plenty of room for four adults and a decent-sized boot; and, anyone still bemoaning the Golf’s old-school boxy styling need only sit inside for a minute or two to appreciate the excellent all-round visibility and the masses of light that enters the cabin via the large side windows. The Golf isn’t a cheap car, however, and the all-new 1.5-litre turbocharged engine (for now at least) is only available with the higher trim levels, starting from around £20,650. Even so, it’s hard to argue that it isn’t worth every penny, especially as the Golf’s residual values are second to none in this class. It’s perhaps easier to ask yourself the question, why wouldn’t you? No matter how you look at it, with the exception of the frustrating Gesture Control (which is a cost extra anyway), the Golf is simply a superbly rounded and highly accomplished performer in almost every respect. As well as offering a great drive, as well as exceptional refinement and comfort, the cabin is immaculately finished and roomy enough to satisfy most people’s needs. 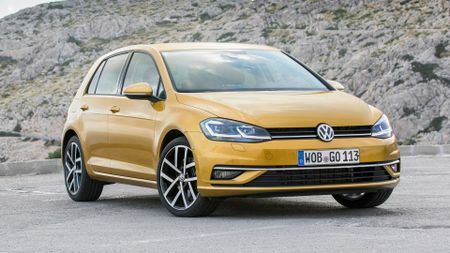 The 1.5-litre engine is yet another positive; and, given the uncertainty over the future of diesel powertrains, it could well turn out to be the pick of the Golf range. The 1 Series is a premium small hatchback with the emphasis on a sporty drive and the latest in connectivity. Designed as a good company car, it rivals not just the Volkswagen Golf, but also the Audi A3 and Mercedes A-Class. The Octavia is one of our favourite family hatchbacks. It provides a high-quality cabin, an immense amount of interior and boot space, and plenty of kit for a very affordable price. Overall, it’s a truly excellent all-rounder, with many strengths and very few weaknesses. The Vauxhall Astra is one of the mainstays of the small family hatchback class, and for good reason. Great to drive or be driven in, it has everything it takes to compete with the likes of the Volkswagen Golf and Ford Focus.